So we discover when we pay a visit to the Namaqua National Park outside of the flower season. Even now, there are a few yellow flowers here and there, and a field of pink March lilies, but nothing like the dazzling masses you can usually see in August or September. What we get instead is in its own way just as spectacular. There’s peace and space. There are stunning vistas of mountains and rocky koppies basking red in the late afternoon sun. There are short walks and longer mountain drives that we have all to ourselves, unless you count the springbok, red hartebeest, steenbok, klipspringer and dassies we see along the way. There’s a full-day 4×4 eco-route, quartz patches, quiver trees and the world’s smallest tortoise, the Namaqua speckled padloper. There’s even a 50-kilometre stretch of unspoilt coastline in the Groen-Spoeg River section in the south-west, which was added to the park in 2008. The chalets at the Skilpad Rest Camp are another attraction, perched on a rise with a view out over layers of hills and valleys. The wide porch comes equipped with low-slung lounging chairs and folding aluminium windows so you can close the porch off against the cold or the wind if you need to. The kitchen has both microwave and full stove (with oven), there are ceiling fans in the living area and bedroom and an air con in the bedroom too – bliss when it’s hot enough to melt your face. And there’s a braai/fireplace in the living area so you can make a fire to ward off the winter cold and not even have to forego the pleasure of your braai. Truly a place for all seasons. We spent two nights there and it wasn’t nearly long enough. Looking out over Skilpad Rest Camp towards the rolling hills in the distance. Depending on your interests there are lots of other reasons to get excited too. For instance, the cultural history of Namaqualand stretches back thousands of years and there’s evidence of hunter-gatherers dotted along the coast, in caves beside the Spoeg River and on the rocky outcrops. If you’re the sort who gets revved about beetles and scorpions and bees and wasps, not to mention reptiles, you’ll have the time of your life rummaging around for some of the many species that have made their home here. And if you’re a keen birder, you’ll get keyed up at the chance to see Verreaux’s eagles, black harriers, long-billed larks and cinnamon-breasted warblers. 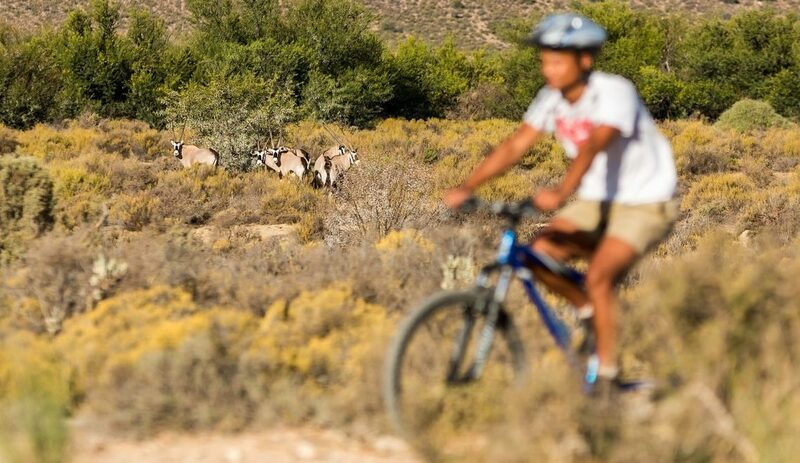 But still the greatest attraction must remain the plant life in what is part of the Succulent Karoo biome – one of only 34 biodiversity hotspots in the whole world. 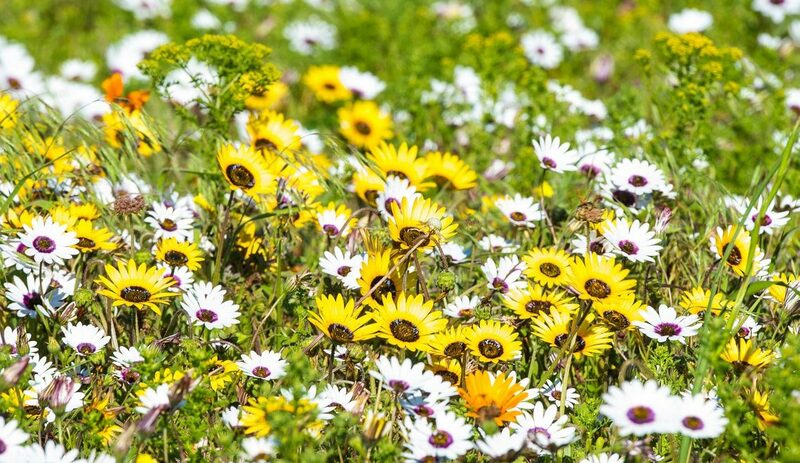 In the Namaqualand section alone, there are around 3 000 different plants, nearly half of which grow nowhere else on the planet. 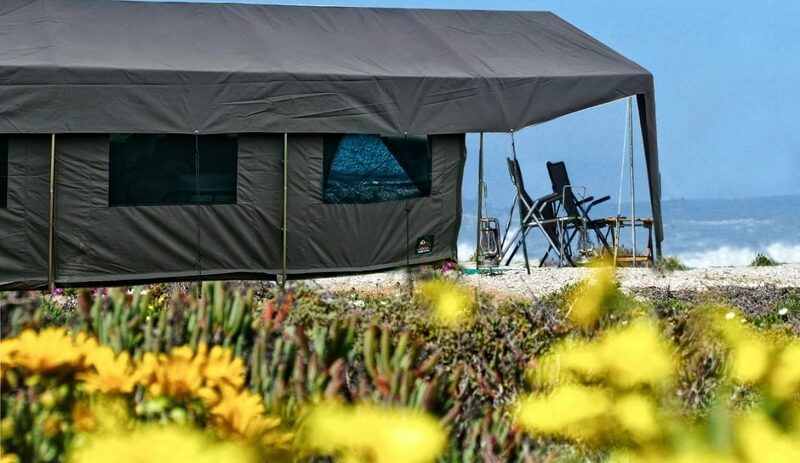 Look on your map and you’ll see that the park – with its wide range of habitats from ocean, estuaries, wetlands and rivers to dunes, grasslands and mountains – is just 67 kilometres southwest of Springbok. That means you can easily stop over there for a few days on your way to better known parks like the Richtersveld, Augrabies and Kgalagadi. For us, though, it has been a destination worth visiting for its own unique charm.